Out of the murky depths of the Black Forest rise IMPERIUM DEKADENZ. Drummer Vespasian and singer Horaz founded the intelligent Black Metal act during late summer of the year 2004. Their first two albums "…und die Welt ward kalt und leer" (2006) as well as "Dämmerung der Szenarien" (2007) were well received by fans and press alike, which catapulted the Germans to the top of their country's underground scene. Far from reproducing the stereotypical political, religious or misanthropic themes of their genre, IMPERIUM DEKADENZ clad metaphors of human transience, ashes, dust and shadows into an antique attire with a penchant for the Roman Empire. 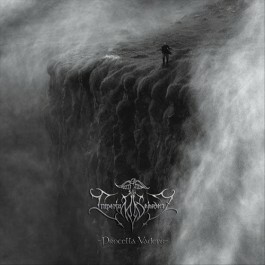 IMPERIUM DEKADENZ have emerged out of Norwegian Black Metal, but then taken a different path towards epic structures imbued with downcast darkness and precious melodic interludes of fragile acoustic spiderwebs. This sound is now perfected on "Procella Vadens". This "Wanderer in the Storm" climbs to a new peak with ingeniously constructed multi-layered hymns plunged into the pure passion of ancient wrath and mournful melancholy. Listen carefully to "Procella Vadens" and witness a new empire of darkness rise!